What is a QR Code and why doesn't my label have one? If you are a manufacturer of pretty much any kind of product searching for a way to give more information to your consumer audience then maybe a QR Code is the way to go! QR Codes (also known as "quick response" codes) are actually two dimensional codes that are readable by smartphones, QR readers and also by computers with webcams. The code itself is comprised of black modules in a square format with a white background and usually contains anything from a URL, maps, text, RSS feeds or a variety of data. The QR Code was initially created for tracking parts in vehicle manufacturing but now are used in a much wider variety of context. The codes are now popping up in magazines, in advertisements, billboards, on public transportation, consumer products and even on pressure sensitive labels. As the popularity of these codes spread from Japan over to the United States their use has become common. Many companies who use pressure sensitive labels are now using QR Codes for a number of applications- promoting their website, offering up more information, or even directing customers to some sort of rebate or coupon program. 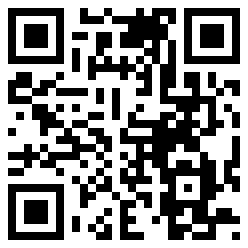 So how do we create a QR Code for our own use? Several websites are available for generating the codes. Kaywa is a popular site, along with Qurify, and Delivr. After you have taken a moment to creat the code you can then upload it to your email signature, facebook page, blog or even your label!